We’d love your help. 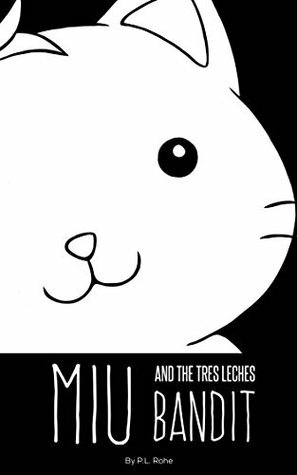 Let us know what’s wrong with this preview of Miu and the Tres Leches Bandit by P.L. Rohe. Miu is a little kitten with a BIG appetite. One day, Miu's owners bring home a special treat: a cake! But this is not just ANY cake. Miu's owners have brought home a tres leches cake. It's made with not one, but THREE kinds of milks! Milk is very yummy, but how much yummier could three milks be? Miu REALLY wants to try the milky cake right away, but how can he get a nibble Miu is a little kitten with a BIG appetite. One day, Miu's owners bring home a special treat: a cake! But this is not just ANY cake. Miu's owners have brought home a tres leches cake. It's made with not one, but THREE kinds of milks! Milk is very yummy, but how much yummier could three milks be? Miu REALLY wants to try the milky cake right away, but how can he get a nibble? This is going to take some big thinkings... Join Miu for a house adventure featuring swashbuckling super-heroics, and maybe some kitten cookie crumbles, a bunny, a robot, and a bear who likes his honey a little too much. Read Miu and the Tres Leches Bandit to find out what happens next! This is P.L. Rohe's first book, but she hopes to share many more adventures with Miu and his buddies real soon. Visit www.MiutheKitten.com to learn more. To ask other readers questions about Miu and the Tres Leches Bandit, please sign up.